Microsoft Teams available Summer 2017 via Glow. Support sessions will be available in August 2017 via Aberdeenshire Events. 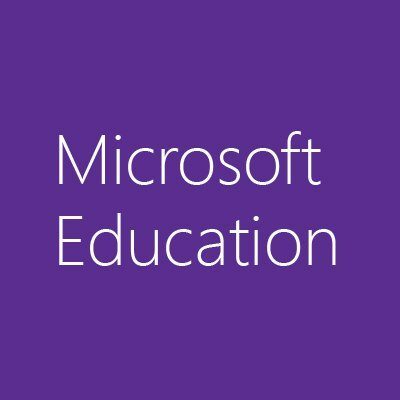 Microsoft Teams for Education Coming Soon…. 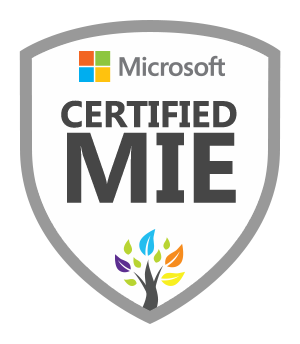 The application process for the MIE Expert programme is now open! 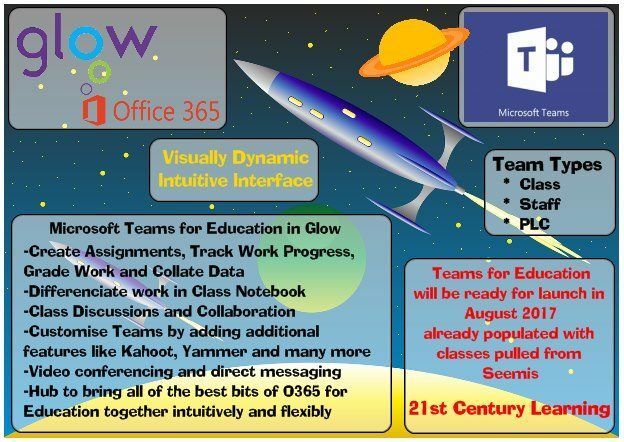 You will need to have registered for the Microsoft Educator Community (MED)with your Glow credentials and a link can be found via the purple MED tile on the Aberdeenshire Glow Launchpad. Information about the programme can be found here and you can start your application here – all you have to do is to complete a short self-nomination form and include the URL to their profile on MEC and SWAY/Mix/Video (this part takes just 5 – 10 mins). 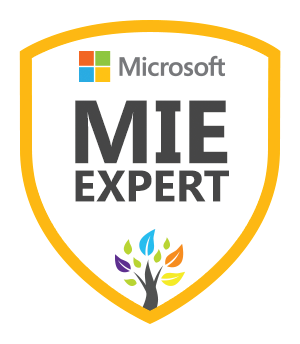 I should flag that all nominees must have their Certified MIE badge before they can be selected as an MIE Expert. Info re becoming an MIE can be found here You only need to earn 1000 points! There are lots of benefits from joining the programme and opportunites to keep up to date with the latest developments with Microsoft applications, all of which are available to Glow Users. Please let us know if you have any questions re the above and we will be happy to help. 2017 marks the 75th anniversary of The Famous Five, Enid Blyton’s best-loved and phenomenally successful book series. To celebrate this landmark year, all 21 books in the Famous Five series are being re-released in May 2017 with brand new contemporary illustrations from rising star Laura Ellen Anderson. We’re also inviting you to take part in our exciting competition below as a Literacy Project for your class or an after school club project. We can’t wait to see your stories! The Literacy competition is open to Primary 5 pupils and they need to create a Sway. These devices were issued (or are in the process of being issued) to all S2 pupils in Scotland. Find out how they can be using across the curriculum by registering for the webinar. If you don’t have any but would like to use them with your class then they can be ordered at a cost of £13 each. The focus will not be on using devices but on teaching and learning in the subject and using devices to support learning and boost engagement where and when it might be appropriate. 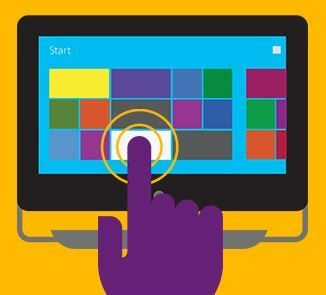 Using OneNote Learning Tools to support pupils with additional learning requirements. Microsoft Educator Community is an online platform where educators can connect and collaborate. 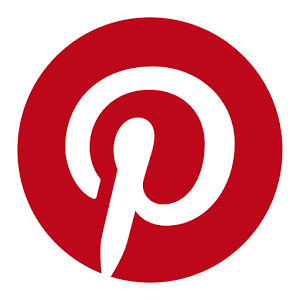 You can sign up by clicking on the link below and then > Sign Up > Sharepoint > Glow e-mail address and password.